I am OBSESSED with this sweatshirt… The material is super soft so you can stay comfortable & stylish all day! The zipper in front creates the perfect pouch to carry your favorite gloss, iPhone, &/or keys. The black denim pants are very stretchy & long enough to roll at the base (I’m 5’5″ & could roll them twice). 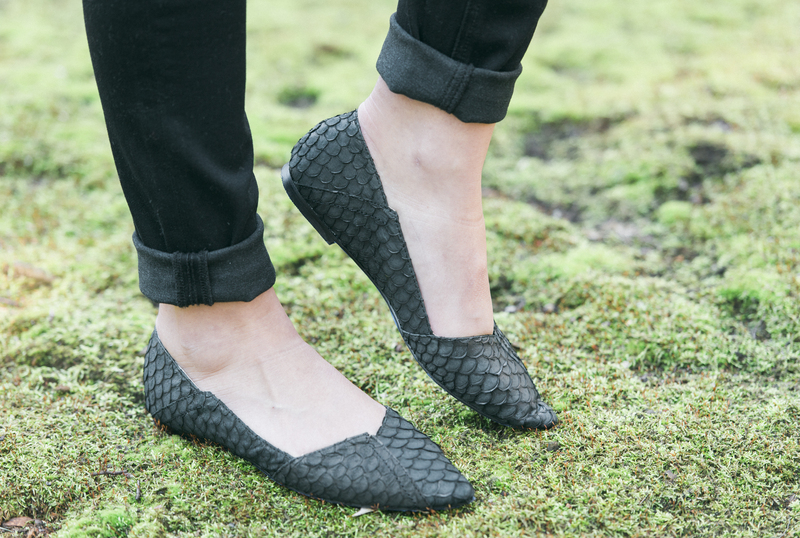 All Black’s texturized pointed-toe fish flats really keep this look current & eco-friendly. These same shoes also come in a round-toe option & are available in several additional colors. Finally, glam up the look with these span hoop earrings made of sterling silver & hammered bronze!